Synopsis: Easy, fast and makes people happy. It's Not Too Late to Make a MINI Owner Smile! If there's a MINI owner on your list but you just can't figure out what they want today's the day to check them off the Gift Giving List. 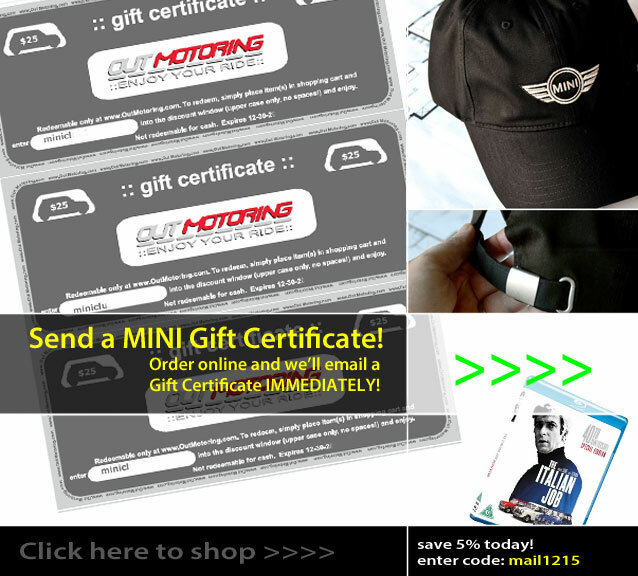 Simply order a Gift Certificate from OutMotoring.com in any dollar amount and we'll email the Gift Certificate code directly to them. How's that for EASY?